Turn up the volume on your style game with a touch of velvet! This is the throwback trend that has been reworked year after year, and just keeps gettin' better. Wheter you're after just a hint of this fab fabric or if you're ready to take yourself straight to velvet valley, we've got the styles for you! Nail a fierce AF off-duty look by pairing a velvet tee with your fave pair of jeans. Feel like red-carpet royalty and cop yourself a velvet co-ord to team with your glitzest jewellery. Our collab queens, like Charlotte Crosby and Binky Felstead, are full-on crushin' on this trend. 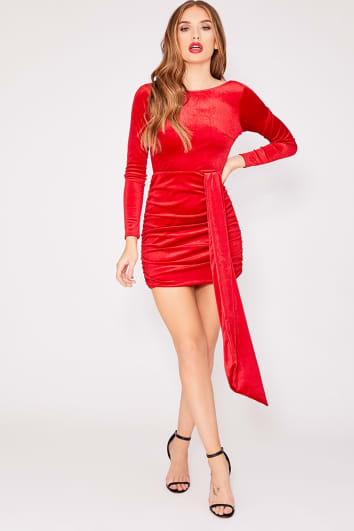 Time to get vougin' in velvet, hun!